I got out yesterday and went and hiked most of the Fanton Trail. The 4614 road (Squaw Mountain rd) is impassible a little ways past the 4613 turnoff due to snow, but 4613 was clear to the trailhead. The snow is really odd this year. It seems to be deepest in a pretty specific elevation. Either higher or lower it is clear, but from about 3400-3600′, it can still be 18-24″ deep or more. The weird thing is how quickly the snow comes on. The trail is basically clear, and then all of a sudden it goes from nothing to over a foot deep. This was the first time I hiked the lower section of the trail, so I wasn’t quite sure where it went, but it was pretty easy to follow, until the snow came. 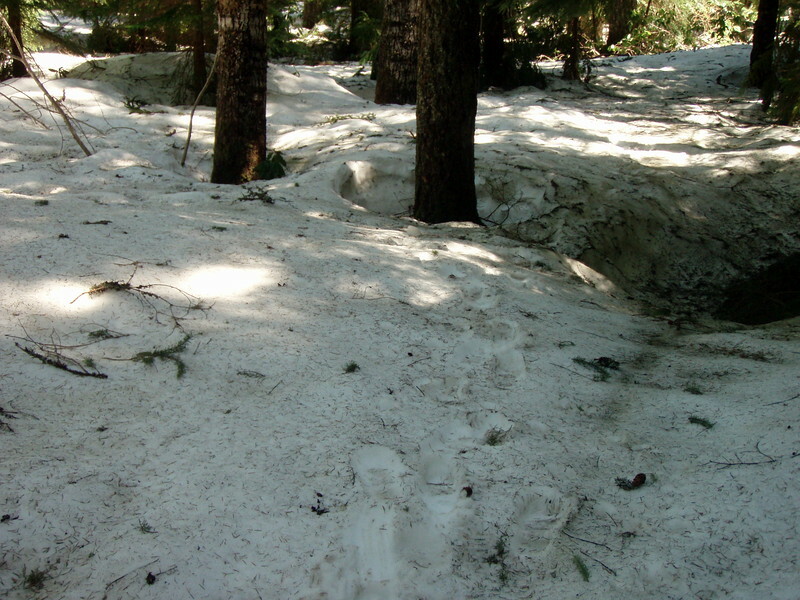 Fortunately, at the lower elevation, someone had gone before me, so I followed the old footprints through the snow. After that stretch, the trail cleared for a while, and it was easy going. Then the snow returned, however there were not any footprints to follow, and I couldn’t find the trail. Couldn’t see any obvious paths, and couldn’t see any blazes. I probably could have keep going in the general direction, but I decided to turn around. I made it probably 3.5 miles up the trail. 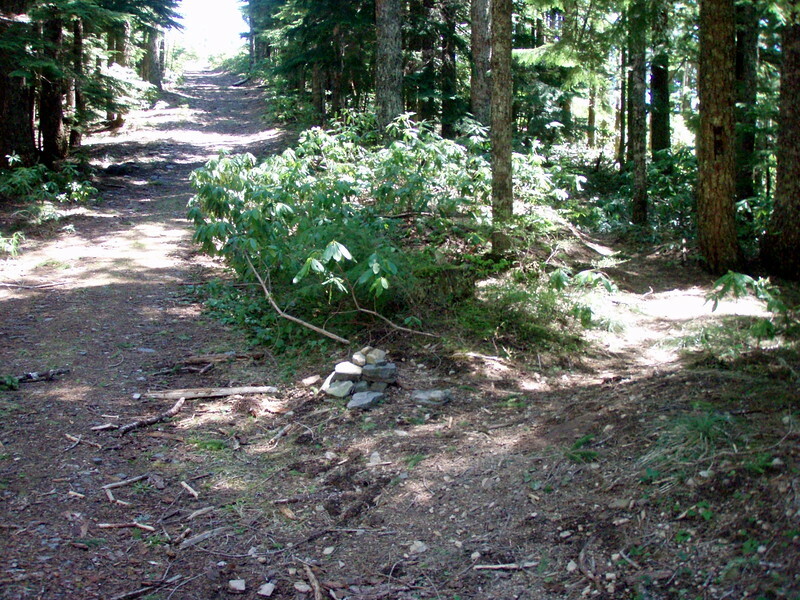 The lower section of the trail has been cleared, however there are still a couple of downed trees over the upper section I hiked. None of them are difficult to traverse, and the trail is in very good shape. I did some trimming of vegetation and threw some branches off the trail to help a little bit. I was hoping to make it up to Squaw Mountain, but that will have to wait for another day. Someday that snow will melt! The trip was pretty uneventful, except for the “locals” who were shooting near the trailhead. I was worried that my truck was going to get broken into, but when I returned to my truck, all was well. All in all, a nice hike through some interesting, although well harvested areas. Some of the clearcuts are not recovering too well, and some are recovering VERY well. Lots of viewpoints to see some beautiful areas, though. 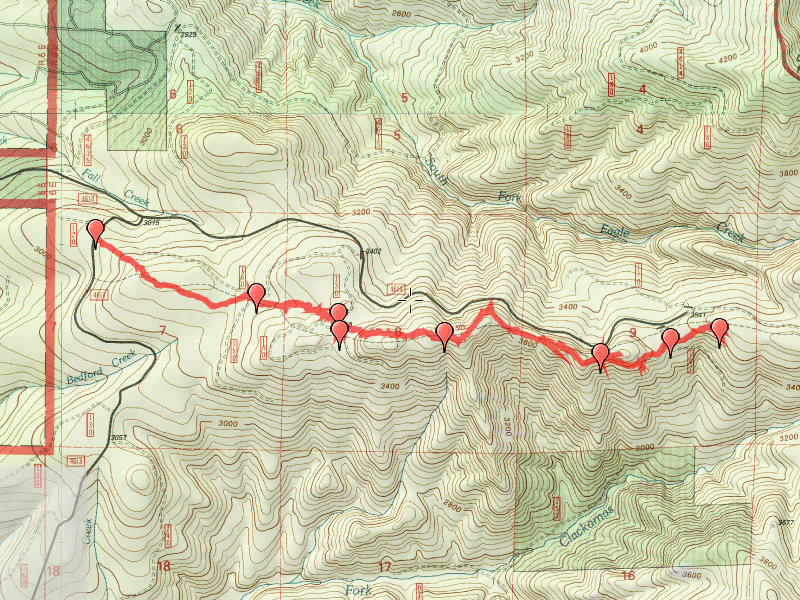 The trail had a reasonably good uphill at the beginning, but the middle section is very flat. I’d love to be able to take the trail all the way up to Squaw Mountain. I’ve taken this trail from the last road crossing up to Squaw Mountain (a few years ago), which was a very interesting hike. Maybe later this year!